Challenges to domestic legislation before international tribunals are a growing phenomenon in public international law. 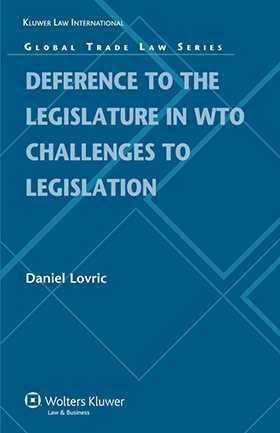 Consequently, in the field of global trade, the degree of deference given by WTO tribunals to domestic legislatures in challenges to their legislation is an area of increasing importance to practitioners, government officials and academics. This timely work takes a new perspective on the way domestic law is treated at the international level. Using techniques of domestic constitutional law, it examines how international tribunals have treated challenges to legislation. The particular focus is WTO tribunals, but the book also draws on experiences from other international adjudicators, such as the European Court of Human Rights. Drawing from these examples, the author examines how international tribunals have (or have not) deferred to the opinions of the domestic legislature, and the legal techniques they've used in doing so. The treatment is detailed and comprehensive, contrasting and summarizing the relevant WTO case law.